Another year and another entry for my favorite on-going comic series of the year. It does make me a little sad that nothing new has muscled it's way onto this list. I'm still captivated by the same three series, and they have all had another strong year. Saga, Black Science, and The Wicked + The Divine continue to explore their own brand of compellingly dysfunctional families. So what I said about them last year still holds true as each brought their stories forward. 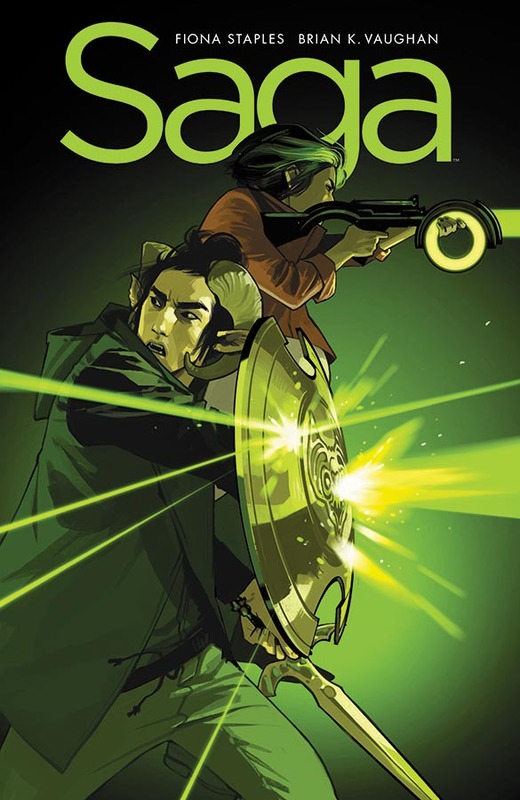 Brian K Vaughan has long been one of my favorite creators (I talked about Runaways yesterday), and his work with Fiona Staples on Saga continues to be absolutely top notch. It's a bizarre, truly alien world, yet you can relate to the fundamental story at it's heart because it's about distinctly human things. It's about family, your ideas about your parents, and the decisions they make. The setting may be fantastical, but the dilemmas are all understandable. It also continues to craft an amazingly vivid world (or worlds really), with distinctive cultures that defy normal stereotypes. 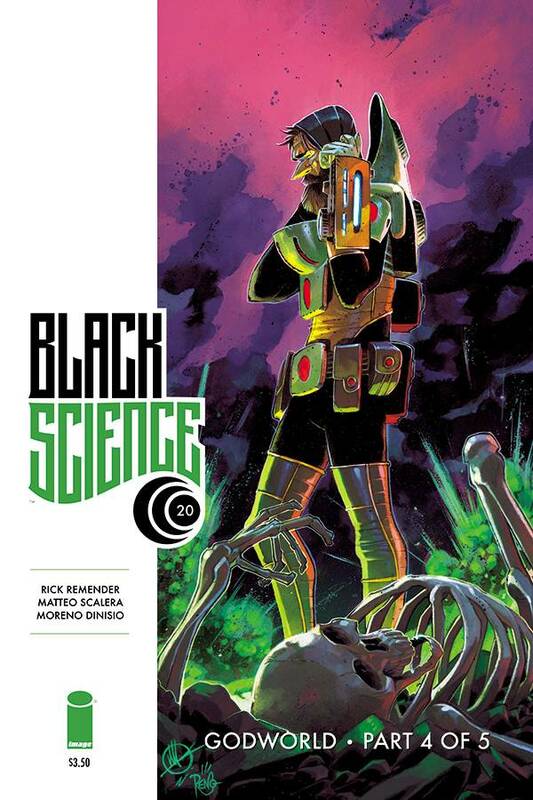 Black Science, by Rick Remender and Italian artist Matteo Scalera is, on one level, pure science fiction. Again though the beats of the story, and it's characters are all about family, betrayal, and the seeking of approval or forgiveness. As with Saga the challenges may be fantastic and imaginative, but the motivations and characters are believable because we can relate. 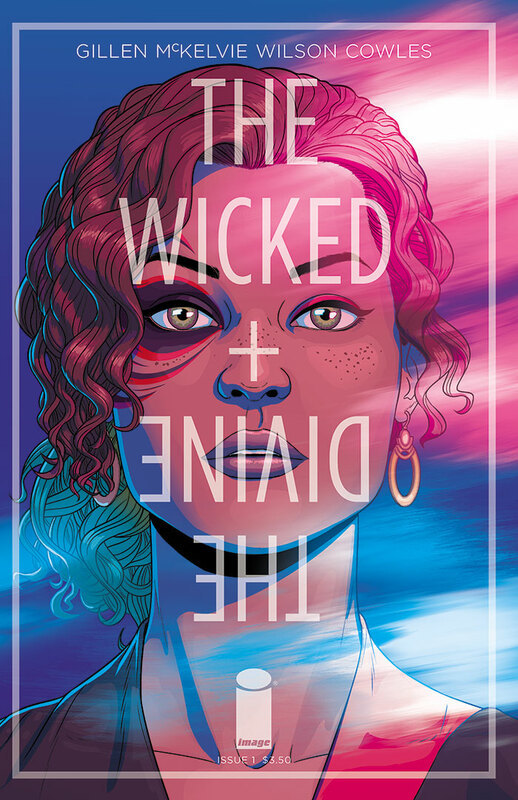 While The Wicked + The Divine has a modern day setting, it's cast of modern day gods take their inspiration from both myth and modernity. It also shares similar themes. Turns out we might also be able to relate to actual gods. Or rather that any amount of power doesn't make gods immune from all the complications of family, obligations, and responsibility. It's about tradition and the tension between generations and whether a new generation has the will to strike out against what is expected of them. That the world may yet be mutable. Creators writer Kieron Gillen, and illustrator Jamie McKelvie weave their story across some of my favorite art in recent years. It's bright, vivid and dynamic. All three are excellent books, by extremely talented creators. Easy to recommend all three.